Does an official, who is not capable of providing legitimate information about his career, deserve to be an official? Željko Peratović’s excruciating life agony began in August, 2004. The incitement for his prosecution was an article, i.e., a review of Tomislav Karamarko’s potential candidacy for Director of POA (Counter-Intelligence Agency, author’s comment) at the time. Article titled Karamarko becomes the chief of all Croatian spies? that initiated Peratović’s prosecution was published on August 28, 2004 in Vjesnik. All in all, an ordinary article, with sources undisclosed, but ready in case of a lawsuit. After the article was published, Karamarko contacted Vjesnik’s editor in chief Andrea Latinović, who then started to pressure Peratović for an apology towards Karamarko. According to Latinović and Karamarko, the problematic piece of information in the article was mentioning of a vacation home in Mljet allegedly owned by Tomislav Karamarko. That was the basis for the article to be labelled untrue. A year later, Peratović loses his job, and his subsequent agony will be covered in the sequel of our feuillton. And yes, there will always be discussions and doubts among fellow journalists whether Peratović violated ethics of reporting on person, whether the article was truthful or not (although the only thing that Peratović supposedly misrepresented was the alleged Karamarko’s ownership of a holiday home in Mljet, an information that he had received from a source) and whether journalist Peratović “got what he deserved”. However, this is not a story of Peratović’s agony; rather of the search for the answer whether a journalist can write truthful information about an official, if the official is not truthful in his official data and statements? In order to answer this question, ten years after Peratović’s article we decided to test the information stated by Tomislav Karamarko in his official biographies. 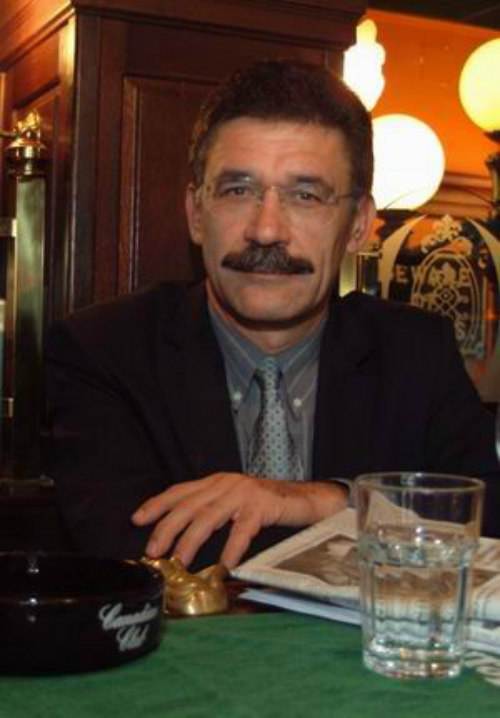 In the official biographies published on official pages of state administration bodies (Security and Intelligence Agency – SOA, Ministry of Interior – MUP), Tomislav Karamarko stated that he obtained a degree from the Faculty of Humanities and Social Sciences, University of Zagreb in 1985. Therefore, according to official data and on the Faculty’s web page, the year 1985 is stated as the year Karamarko obtained the degree of B.A. in History. Faculty of Humanities and Social Sciences, University of Zagreb still has not answered Fairpress regarding its inquiry on the year Karamarko obtained his degree. Željko Peratović posted on his blog that Karamarko graduated in 1989, which was confirmed by a copy of a notarized document from the Faculty. According to that information, Karamarko stated incorrect information in his biography regarding the conclusion of his period of study, because it was not finished in 1985. Although that is not a criminal act itself in our society, it is pretty inappropriate for an official. Especially for an official that has spent most of his career in security services that deal with checking up officials who are due for appointments. It is safe to say that they wouldn’t be kindly looked upon if found in a similar situation. Another interesting piece of information from Tomislav Karamarko’s biography is the one regarding his years of employment. In the biography Tomislav Karamarko published while working as the Minister of Interior, it states that he was employed in the Croatian State Archives from 1987 till the end of 1988. At the time this text was being composed, Tomislav Karamarko’s web site stated that he was employed in the Croatian State Archives in 1987. Referring to the Law on the Right to Access Information, we contacted the Croatian State Archives to find about Karamarko’s job tenure in that establishment. Following Fairpress’s official inquiry, the Croatian State Archives answered that Tomislav Karamarko started to work in the State Archives in July 1988 and left in January 1991. Therefore, another piece of information that is not true. Next relevant thing for the profile of Tomislav Karamarko as an official are his allegations that the Yugoslav State Security Service (i.e., UDBA) confiscated his passport due to clero-nationalist activities. Considering the importance of managing the State Archives, the ruling officials in the era of Communism paid close attention about the type of people that were employed in that institution. The reason for their vigilance was that those same people came into possession of various documents, among other classified as secret after the deadline for secrecy expired. So, there was no possible way a person with dubious background and especially a person charged with “anti-government activities” could have been hired there. Another intriguing matter is that, considering the available official data, Tomislav Karamarko was hired in the Croatian State Archives in 1988, and obtained a degree in 1989. How is it possible that he was hired at all if he wasn’t qualified for the position in question at the time of his employment? Especially, to top it all off, if he was labelled as the “enemy of the state”. Considering the extremely ring-wing and nationalist attitude that Tomislav Karamarko expresses today in almost all his public appearances, information that he was once deprived of his passport seems pretty important, first and foremost to his constituent body. However, official information regarding his passport being taken or possible procedure where his passport was supposed to be taken, do not exist. 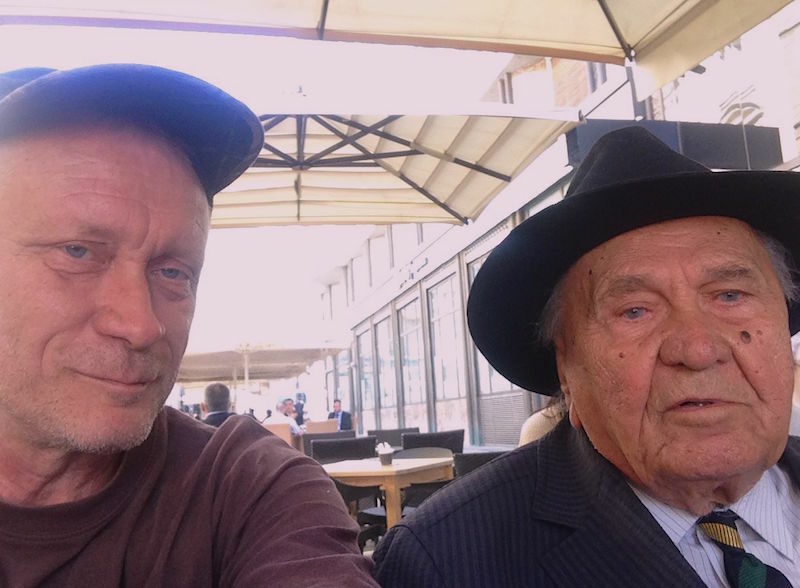 According to the statement from former employee of The State Security Service of Republic Secretariat of Internal Affairs of the Socialist Republic of Croatia (SDS RSUP SRH), Ante Barišić, Tomislav Karamarko’s passport was not taken in 1982 and he was not prosecuted for nationalism and clero-nationalism. Notarized statement from Ante Barišić is contrary to Tomislav Karamarko’s frequent statement about his passport being taken. Further on, we tried to establish the circumstances of Tomislav Karamarko’s career advancements. Namely, according to official data, in the year 1992 he took the position of Chief of Cabinet for the President of the Government at the time, Josip Manolić. In order to verify the authenticity of this allegation and the circumstances where Tomislav Karamarko was hired to a de facto secretary position of the utmost trust for one of the most powerful intelligence officers of Yugoslavia and Croatia in the making, Josip Manolić, we contacted Mr Josip Manolić himself. After numerous inquiries Fairpress made regarding the alleged circumstances, Mr Manolić did not wish to respond. 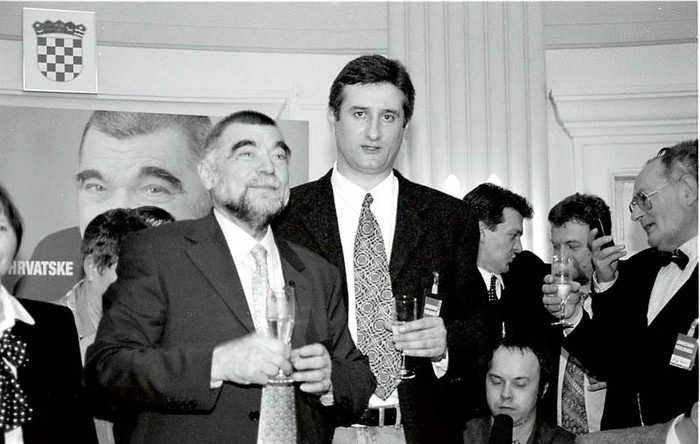 After his career regarding Josip Manolić ended, Tomislav Karamarko went on to become a close associate of the former President of the Republic Stjepan Mesić. Office of the former president offered no reply to Fairpress’s inquiries regarding the circumstances of Tomislav Karamarko’s hiring, and later advancement to chief of security services. Mesić’s advisor and current office manager Mirjana Pavoković informed us via telephone that Mr Mesić did not wish to answer any questions regarding Tomislav Karamarko. This research could have lasted indefinitely. However, it is quite sufficient to answer the initial question, i.e., is it possible for a journalist to write truthful information about an official, if the official is not truthful in his official data and statements? No, it is not. Consequently, can the journalist be held reliable for writing false information – no, he cannot. The result is that only in Croatia; nowhere else in civilised Europe would it be possible for Peratović to be held accountable for his articles which were based on sources knowledgeable of official information. However, those information were false. The fault was not Peratović’s; rather systematic information covering by officials, in this case Tomislav Karamarko. Lastly, does an official that is not capable of providing his constituent body truthful information regarding his career, deserve to be an official at all? We leave it to the professionals and citizens themselves to decide.